What Are the Most Common Carpet Stain Offenders? We’ve all run into situations where a carpet stain is inevitable. It could’ve been your new puppy who doesn’t really know the rules of its new home, or maybe you just hosted the greatest New Year’s Eve party of all time. Consider yourself lucky if you can get through these situations without encountering a stain on your carpet. According to an internal market research study conducted by Sears Carpet Cleaning, 48% of carpet cleaning takes place due to a common reason that has triggered the cleaning. For instance, mud and dirt account for 25% of carpet cleaning occasions. If you spilled wine on the floor, don’t fret! If your kids forget to take off their cleats while entering the house after a baseball game, take a deep breath knowing that the stains can come out. We’ve compiled a list of the most common stain offenders that your home can, and most likely will, encounter at some point or another! We all love our pets and they love us, but it’s hard to express that love when they mistake your carpet for a litter box or patch of grass. In the recent study, 22% of carpet cleaning customers got their carpets cleaned due to pet stains. A pet accident is one of the toughest stains for carpets. Different chemicals in pet urine include urea, uric acid and sodium. These cause the urine to decompose very slowly. Uric acid is the most damaging chemical in cat urine because it has a half-life of six years and will continue to damage your carpets for many years if it’s not taken care of. Yikes! Not only will the first stain be a pain to remove, but your pets’ urine also contains hormones, which let them know where “their spot” is. Pets will continue to release urine in the same spot and cause continued damage to your carpet and floorboards. Dander is another problem carpets face. Most pet owners can relate to having dust bunnies composed mostly of pet hair, but dander can be just as problematic to your home as urine. According to WebMD, pet dander is one of the most common allergens in our homes. Your carpet acts like a magnet for pet dander and harvests allergens within the fibers of the carpet. If you don’t regularly clean your carpets, these allergens can build up and cause you and your family to suffer from allergic reactions to pet dander. Clean carpets mean healthy pets and healthy humans at home! If you have kids, you know that keeping your house clean is an ongoing battle (keep fighting, parents!). If your child gets ahold of anything messy, you know it’s somehow going to get on the floor. It’s just one of the “wonderful” parts of being a parent. Every parent dreads the day their child’s mess ends up on the carpet. It’s not fun for anyone, but it happens and your carpet gets the worst end of the deal. The smell is appalling and you might think your carpet is done for. A professional carpet cleaner can deep clean that huge stain and revive your carpet to its original state. You’d be surprised how often we see gum in the carpet, creating a hard, crusty stain. Kids can also be the culprits for nasty ketchup stains on the carpet. Similar to gum, when ketchup gets old, it hardens and becomes a gross, crusty stain that is difficult to remove without the help of a professional. It starts when guests enter your home, especially if you live in a colder climate and experience snow during the winter. People are tracking snow, dirt and mud into your home, but this should be expected. Twenty-five percent of carpet cleaning takes place due to carpets getting extremely soiled. There are ways to prevent this, such as having guests take their shoes off or placing more floor mats around the entry points of your home. If your carpet is past the point of no return, getting your carpet cleaned is the only way to get a fresh start. Parties are one of the most stain-prone events a home could ever experience. Depending on the size of your party, the foot traffic alone can do a great deal of damage to your carpet. The dirt that has collected by all of your guests’ shoes on the way to the party, no matter the amount, will be seen in the high-traffic areas of your home, such as the main hallway and right by the front door. According to the study, 23% of customers get their carpets cleaned before the holidays. People have family, friends and colleagues over for parties. You may want to consider getting your carpets cleaned after the party, instead. If your guests are enjoying their favorite alcoholic beverages, this could be another stain just waiting to happen. Wine is the one liquid you absolutely do not want touching your carpet, but at parties, a wine spill is bound to happen. These stains need the actions of a professional cleaner to be cleared properly. Salsa is another party favorite that can be detrimental to your carpet. Many people might find that these stains are manageable, but it’s imperative to hire a professional to get rid of those pesky stains to maintain the durability of your carpet. Often, the more that homeowners try to deal with a stain by themselves, the worse the stain becomes. Additional common reasons for hiring professional carpet cleaners include being diagnosed with allergies, asthma or some other breathing disorder, as well as if the homeowner simply wants to completely replace the carpets or there has been prior water damage. Don’t be hard on yourself, your kids, your pets or your party guests for an accidental spill. Mistakes happen. Luckily, carpets can be cleaned and restored. If you need to get rid of a stain in your carpet, create a healthier environment for you and your family, Sears Carpet Cleaning is available to help at (866) 370-0471. The views in this article are those of the author and may not reflect the opinions of Quicken Loans and its team members. Quicken Loans is not responsible for any products or services of Sears Carpet Cleaning company. I find that pet stains and odors are the absolute worst to remove, and actually recommend going with all hard floors as opposed to carpeting if you have pets who have frequent accidents. Sprinkle the powder liberally over the carpet. Leave the powder for at least 30 minutes – but if you can leave it overnight, all the better – this gives the cleaner time to work, softening the stains and consuming the odors. Vacuum up the powder when you’re done. Thanks for sharing, Jason! Have a great day! I faced the same issue when I shifted to a new house. Being much a clean person, I did not like how the previous tenants maintained the house. So after I shifted the first thing I did was did a proper cleaning but it still looked very pale. Stains are the biggest problem for carpet, and it Requires the right equipment to ensure proper cleaning of the carpet. DIY methods clean the carpet superficially and do not penetrate into the deeper layers. The dirt and chemical tend to accumulate in the deeper layers of the carpet so go for professional carpet cleaners. I’ve been trying to get some info on this particular subject over the last couple of days, and I am glad you share this valuable information with us. It’s very useful to me for my future work. I’m glad you liked it, Paul! Thanks for sharing your perspective! You said that people track dirt and snow into your home during winter. If I was going to get carpet floors I would want to know that I could get them installed correctly. Maybe I should ask a professional for assistance when I am in need of a floor cleaning. Glad you liked it, John! Now-a-days, there are many different types of chemicals available to remove stains. So, it’s not a big deal to clean stains from floor carpets or rugs !! Having your carpet maintained and cleaned gives your home or business an aesthetic value. It is very important to hire good carpet cleaning professionals so that they can save you from this offenders in staining your precious carpet. Clean floors of any kind are always good, Craig! 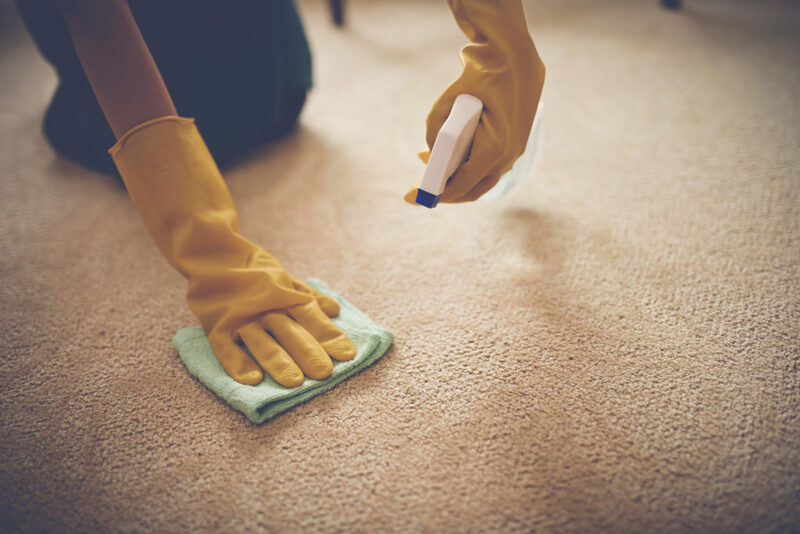 Carpet cleaning professionals know the tricks which are required to loosen the substance’s firm hold on the carpet, and remove it completely. a time as a large amount may cause the discolor to spread.